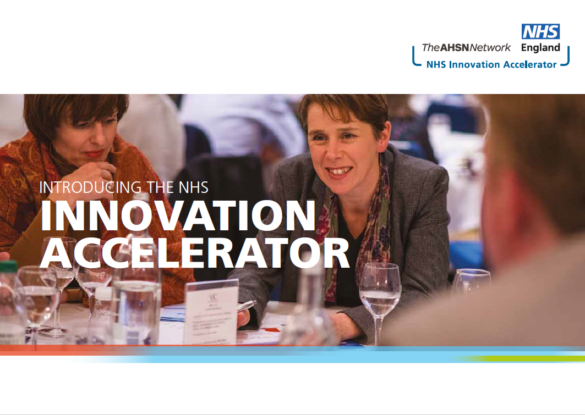 The NHS Innovation Accelerator (NIA) is an NHS England national initiative supported and delivered by all 15 AHSNs. It aims to accelerate uptake of high-impact innovations for patient, population and NHS staff benefit. It also provides real-time practical insights on spread to inform national strategy. The NIA supports exceptional individuals with a passion for learning and a commitment to share their learnings widely, scaling evidence-based innovations for greater patient benefit. They have now brought together 37 of these innovations in a new brochure that outlines their work and the innovations that are being supported by the NIA.